Today, I hopped on a train with a good friend of mine to Liverpool for a catch up and a mooch around the shops. I treated myself to a few things with my birthday money- I am quite proud as everything I picked up was under £7 and my grand total for the day came to just over £20.00! Saying that, my friend managed to come home having only spent £5. Oh. I am definitely proud of myself for only spending £5.00 in Primark, mainly on essentials too! I had been meaning to pick up a couple of camis to wear under sheer shirts, so I thought I would pick them up here at only £2 a pop. I am also loving wearing head scarves when I have my hair up in a top knot, so I picked up this pretty feather print one. If you haven't already checked out the H&M sale, you should, there are some amazing bargains to be found! I love the print of this top and the fact that it buttons down at the back, too. 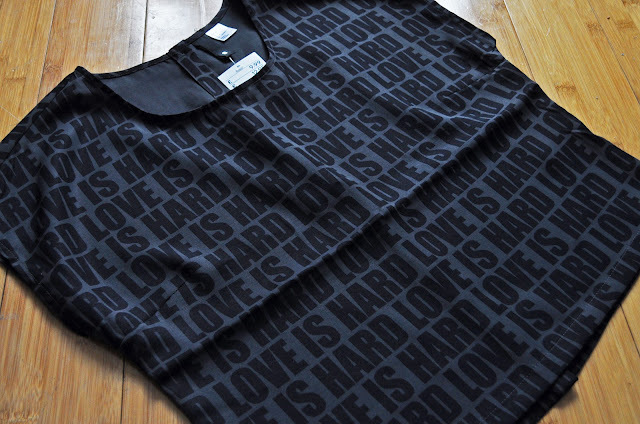 It is also slightly cropped and made of a lightweight material, so it is perfect for keeping cool or layering up. I picked up this skirt as soon as I saw it. 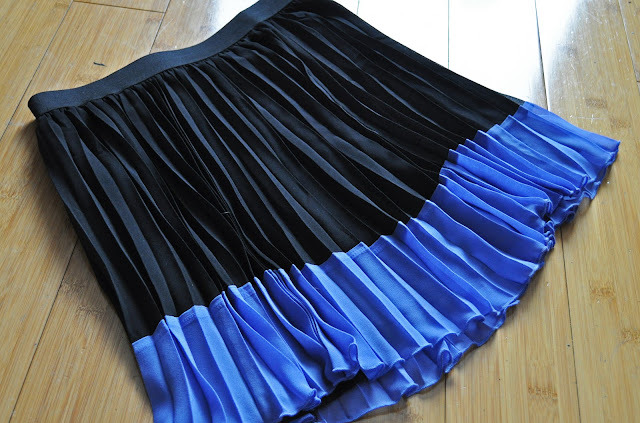 I have been looking for a simple, everyday pleated skirt, and I love the cornflower blue hem on this one. 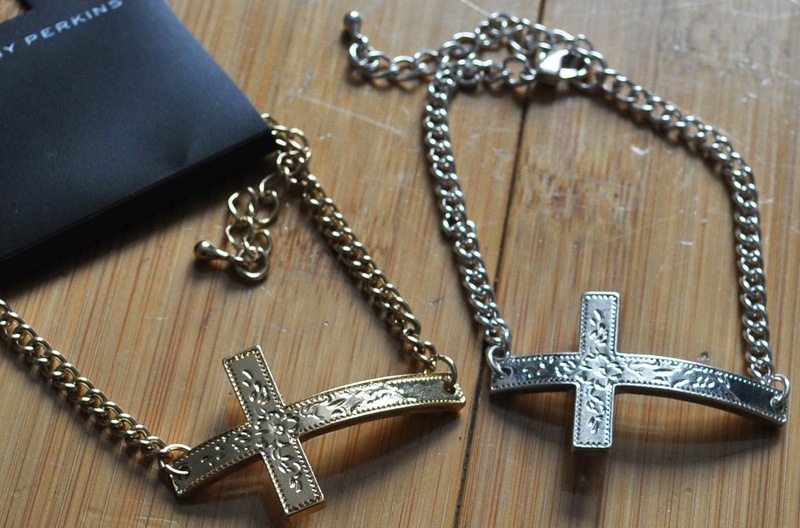 I love crosses and I remember a similar bracelet to these (minus the engraved detail) being sold in Miss Selfridge a while back but I missed out on them, so I was pleased when I spotted these! I couldn't decide whether I liked the silver or the gold better so I picked up both haha! I hope you like my purchases, have you shopped the H&M sale? I love that skirt and those tops from primark are so handy i have so many of them. I love the bracelets! For some reason I always seem to avoid Dorothy Perkins, but perhaps I should give them a chance! I love those cross bracelets, really nice! Great haul! I especially love the head scarf you picked up! Great stuff!!! Personally I love the scarf, the skirt (next outfit post? *wink, wink*) and the bracelets. It's amazing how much you shopped for so little, I'm terrible with that. :( But you do inspire!!! Living and learning, yeah? Loving the bracelets, the engraving makes them even prettier! I pretty much live off those Primark camis, they last so much longer than you'd expect for only £2! You've got a good eye for bargains! I really like the skirt. What are your tips for taking good photos of clothes? I've been trying for weeks to photograph my haul but the photos are rubbish! Oh and congrats on reaching over 900 followers- well deserved! Haha I try to be frugal so I am always looking for bargains! Well I used to hang them up but I never thought that this did them justice as they always hung awkwardly, so now I just lay them out on a clear surface (my living room floor, in this case) in front of a window when there is a good amount of day light, and I don't use flash. I do a lot of cropping on photoshop too to get my photos to look just right :) I hope I helped! Thank you for sharing your secrets! I have just posted my haul...I will use your tips for the next one cos I'm not thrilled with the photos but hopefully it's acceptable! The pleated skirt is gorgeous, great value too!